The Untouchables (The UTs) 'Wild Child' album was released 27 years ago during the spring of 1985. It remains one of the earliest and most popular examples of purely American-styled 2-Tone ska that combined soul, pop and funk. Some rare live footage of the band performing a show at the iconic rock club The Distillery in San Diego in 1984 has recently surfaced. While many of the songs from this show did not make it on to any of the band's subsequent records, they showcase the band's more mod and rock inspirations as well as their stage moves. The success of The Untouchables and their giant step from local Los Angeles ska/mod heroes to a major label deal with Stiff Records in the U.K. is a classic story about how old fashioned DIY marketing, self-promotion and good luck used to work in the music business. And it didn't hurt that the band were a great live draw up and down Southern California. The UTs exploded out of the O.N. 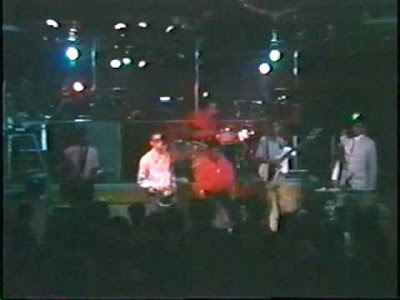 Klub in Los Angeles in 1981 and soon provided the soundtrack for the ska/mod revival that spread like wild fire across Southern California in the early 80's. The band quickly outgrew the small confines of the O.N. Klub as word of their live show grew and they sold out several self-released 7" singles. According to a 1985 Billboard story, the band raised $15,000 from private investors (who were paid back with interest!) and recorded the well-received 'Live & Let Dance' EP on the indie Twist Records label. Next they invested an additional $7,000 to produce a video for the song 'Free Yourself' which started to generate television airplay. As a result the EP sold 40,000 copies and the video won the 1985 award for best independent video from Billboard Magazine. The band also made memorable movie cameos in 'Repo Man' and 'Party Animal'. Following their triumphant performance during the closing cermonies of the London Olympics last night, Madness have just released the first single from their hotly anticipated new album "Circus Freaks" which is due out sometime in 2013. 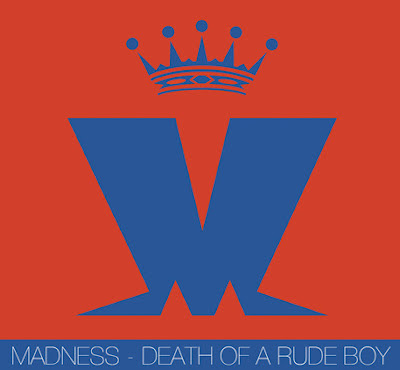 The song, "Death Of A Rude Boy" is available as a free download (click here). The single's also been remixed by Andrew Weatherall, which you can download from iTunes. Unlike the upbeat and decidedly English pop of their last album "The Liberty of Norton Folgate," the new single has a rather sinister sounding reggae skank to it, along with a strong hint of The Specials 'Ghost Town' in the eerie organ melody that carries the song. While there's no release date for the album yet, the band are setting out on a UK tour to support it later this year. The King Meets The Rockers Uptown: Elvis Presley Goes Rocksteady! The always excellent Dangerous Minds has posted a great re-mix of some of Elvis Presley's best known songs done in a rocksteady and reggae style. The mix is very reminiscient of The Drastics "MJ A Rocker," a brilliant mix of Michael Jackson's original vocals dropped in on top of spot-on skinhead reggae covers of his best known song. 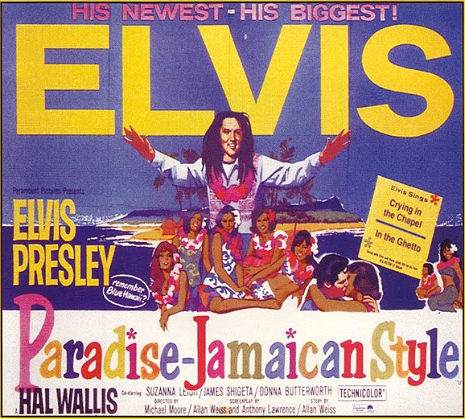 Similarly, Presley's original vocals are dropped on top of some very nice reggae and rocksteady backing tracks. Please note that while the music is definitely PG, the accompanying video is definitely NSFW! Patti Smith's 'Redondo Beach": The First Gay Reggae Song? I've previously written about the ways that mainstream rock and pop artists have embraced reggae in a genuine fashion (Paul Simon, Blondie and Johnny Nash) or dabbled in a number of dreadful attempts (Cod Reggae any one?). 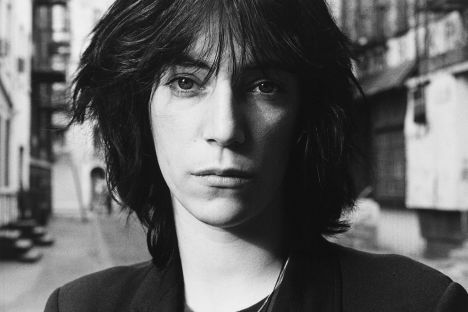 However, it is very possible that the very first reggae song with a Gay story line may be Patti Smith's 1975 track "Redondo Beach" taken from her "Horses" album. On the surface, a song that name checks a beach could be construed as a cliche for a rock-reggae recording. In fact Redondo Beach was a popular destination (or perhaps a safe-haven) for lesbians living near Los Angeles at the time. With the back drop established, Smith tells the tale of an untimely suicide of a young gay woman and a love that never was. Despite the laconic reggae sounds the lyrics convey a kind of sufferers music that reggae artists of the 70's could have appreciated but never would have imagined. Smith revealed the inspiration behind "Redondo Beach" in the same interview. 'Redondo Beach', was also widely interpreted as the lament of a woman whose girlfriend has committed suicide and whose body washes up on a Los Angeles beach popular with lesbians and gays. Actually, says Smith, it's a song about her sister Linda, a sort of morbid fantasy rooted in remorse: the pair, rooming together in the Chelsea Hotel, quarrelled, and Linda disappeared, causing Patti much anguish. Written in 1971, the verses languished in a drawer for several years, until they were pulled out and given an incongruously jaunty reggae backing. Despite his infamous “All reggae is vile” comment (later he claimed that the quote was just a joke and that he was a fan of reggae music), Morrissey released his own reggae-lite live version of "Redondo Beach" a few years back which has become a staple of his live shows. Have a listen to his take on this classic (complete with reggae organ! ).